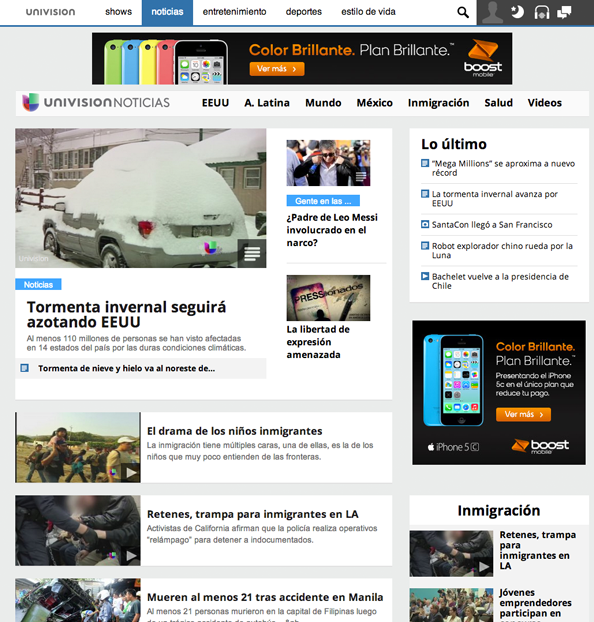 Spanish language Univision has launched a redesigned news website. The new site features a soft gray background with a white boxes as well as a white navigation bar. Content is also labeled with icons for articles, video or photos while article pages heavily integrate a commenting feature.